Home> Resource> iOS Transfer> How to View iPhone Contacts on Computer/Mac? Summary: How to view iPhone contacts on Windows or Mac computer? This article is going to show you two different ways to reach the goal. Sometimes, people may wish to access to the iTunes backups on desktop computer, so that they can directly view iPhone contacts or other data on PC or Mac. But things are not going as you imagine. Generally speaking, every time you backed up your iPhone data with iTunes, it will generate a backup file and save it on your personal PC. But these iTunes backups are unreadable. So if you wish to access and view it, you need to extract your needed data like contacts, or messages from iTunes backup at first. Or if your iPhone at hand, you can directly scan your iPhone and save the contacts as readable file on your desktop computer. Therefore, we could like to show you two different ways to get access to your own iPhone contacts and view them on computer without hassle. You can compare them and decide which one is better according to your own needs. 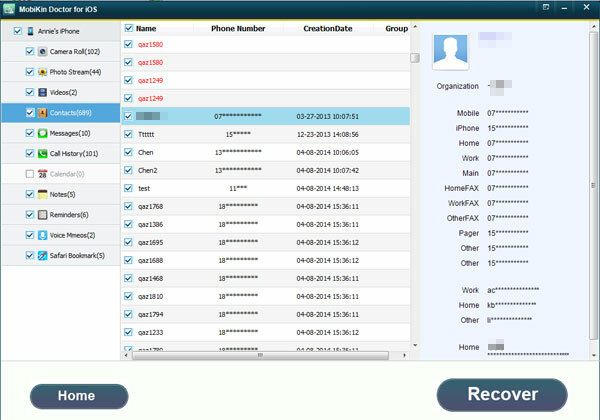 How to View iPhone Contacts on PC/Mac with iPhone Manager? 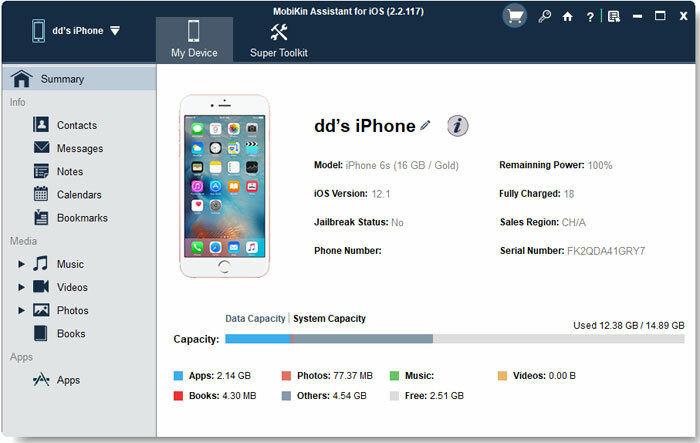 MobiKin Assistant for iOS (Windows/Mac) is a full-functional iPhone manager software on the market. It allows users to get access to the iPhone's internal memory directly, export and save your needed data to desktop computer as readable format. This tool has Windows and Mac version to meet users' different needs and it supports up to 8 different files on iPhone, such as contacts, messages, music, calendars, notes, and so on. Now, let's to check the detailed steps of viewing iPhone contacts with the help of iPhone contacts viewer. 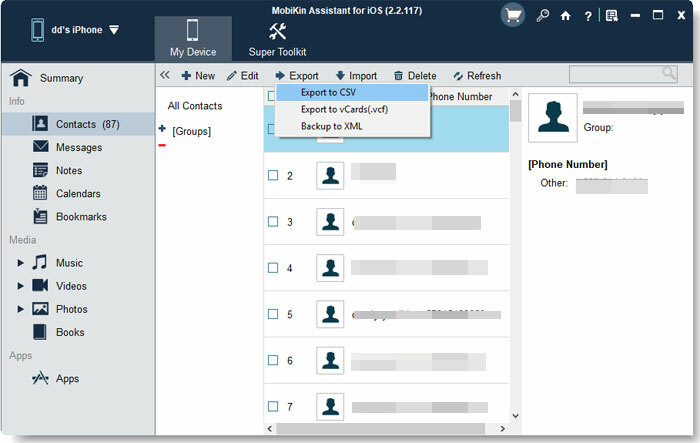 - When your iPhone is detected by the iPhone contacts manager software, you can check the left menu list and find "Contacts" in the program, then you can view all contacts on your iPhone in the program as you like. - If you wish to view these contacts info without repeating the same steps in the future, you can tick the contacts and export them to your desktop computer as HTML format. So, you only need to open the .html file at the next time, you'll see all your iPhone contacts on PC without hassle. How to Access iPhone Contacts on Computer with Doctor for iOS? 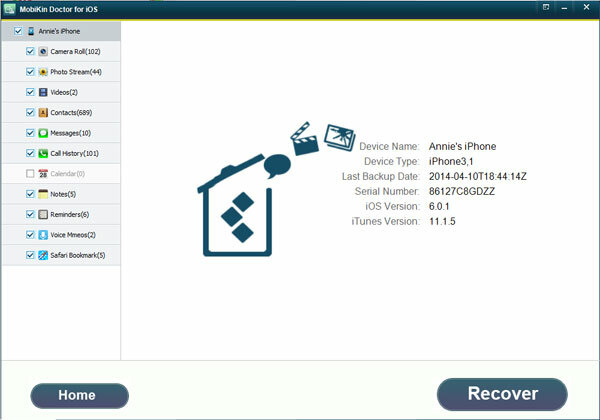 MobiKin Doctor for iOS (Windows/Mac) is a data backup & restore tool for iPhone, iPad or iPod users. You can use it to directly scan your iPhone contacts or get access the iTunes backups and extract your needed contacts according to your own needs. All of them can help you achieve the goal of viewing iPhone contacts on computer at anytime you like. Cool, right? Now, just get this powerful tool and follow the below steps to begin the whole process. - Recover from iOS Device: requires to link your iPhone to the computer for scanning. 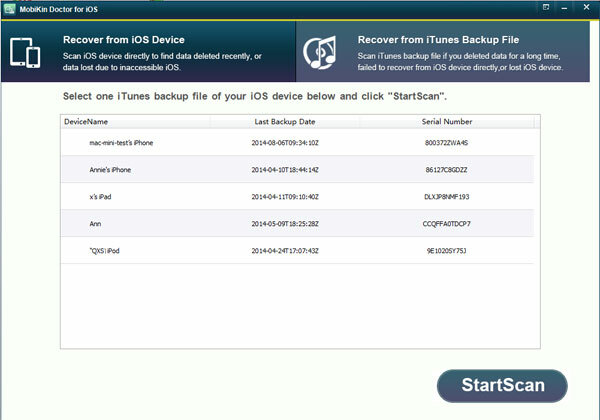 - Recover from iTunes Backup File: don't need to connect your iDevice, so you can view iPhone contacts when your iPhone is not at hand. 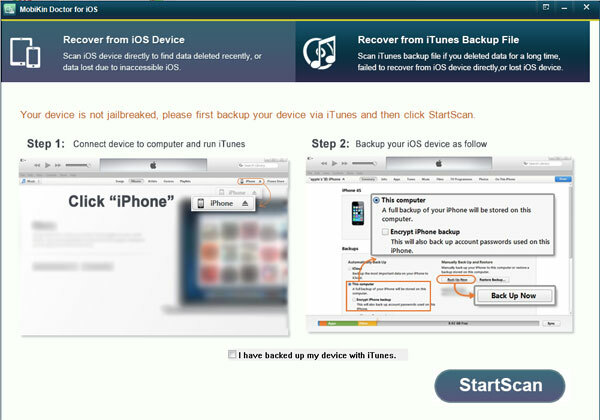 When you have made a decision, just begin to scan your iPhone or iTunes backup file. 2. When the scanning is finished, you'll see an interface like below. Check it and select "Contacts" category in the left panel, then you can preview both deleted and existing iPhone contacts in the program. 3. Select the contacts you wish to view on PC without restrictions, and hit "Recover" button to save them on your Windows or Mac computer.